Special offer for big groups. HEN PARTIES, BIRTHDAY PARTIES, LEAVING PARTIES AND ALL YOUR PRIVATE EVENTS! Are you getting married and you don’t know how to make homemade pasta yet ?!! Your BIRTHDAY is coming and you want impress your friends with something different? Are you planning a FAMILY OR SCHOOL REUNION and you wish to make it unique? 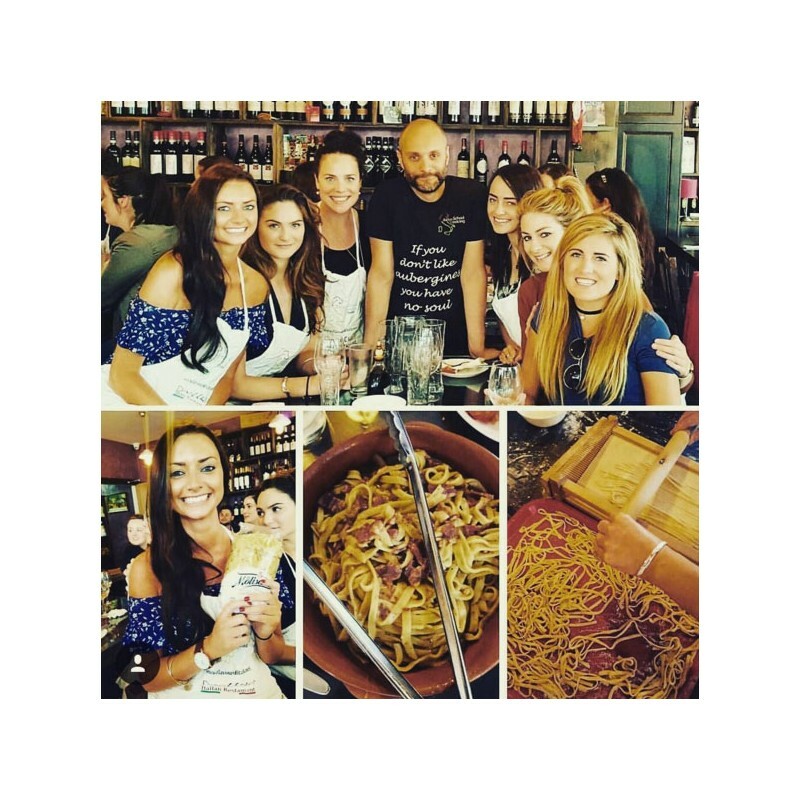 For your hen party, birthday party, leaving party, Christmas party, school or family reunion, office activity, our COOKERY PARTY are the perfect solution. Not a cookery demonstration but a hands-on cooking experince that works as the perfect icebreaker bringing people together. You can then sit down and enjoy the rewarding pleasure of the meal you cooked with a glass of wine or two. 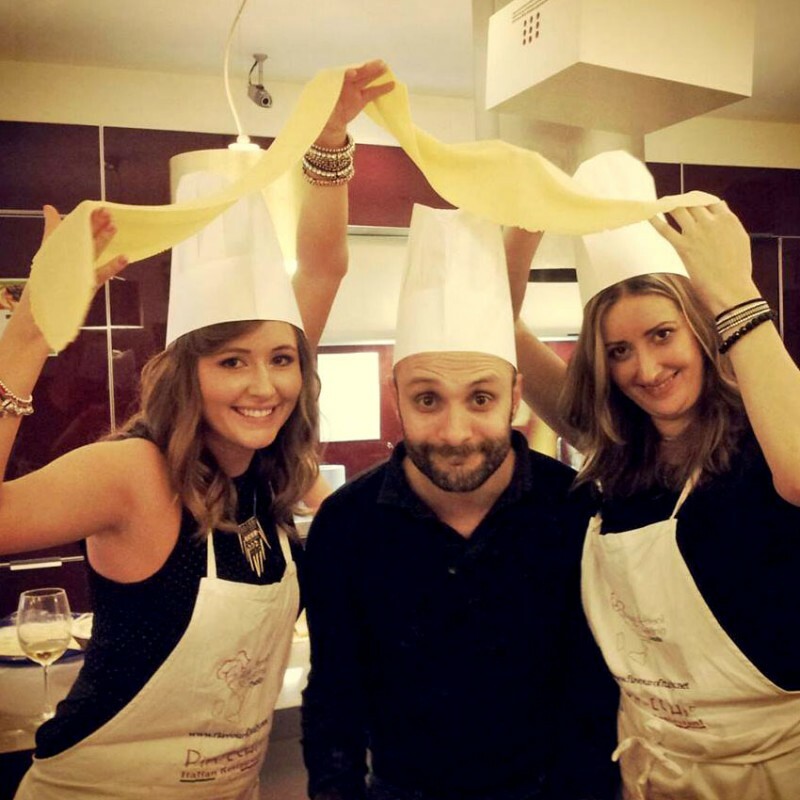 Each group will cook and eat a complete Italian dinner, from starter to dessert. Our prices include: Welcome with "bruschetta crash course", cooking session with lunch / dinner, 1 bottle of wine every 4 people, use of apron and recipe book. Prize for the winner group. Please note: the event takes two hours and a half from start to end, if you wish to stay longer the cost is 150 euros/hour. We also organize: Birthday party, hen party, stag party, other private parties. Other services: Funcion room, cakes, dj set & live music available, projector, tv screen, stereo, wi-fi.